Does Your Body Adjust to Eating Beans? Beans are a notorious cause of intestinal gas. If your diet is anything like that of the average American’s, the U.S. Department of Agriculture wants you to eat more beans. After all, legumes – especially the dried variety – are a low-fat source of high-quality plant protein, dietary fiber and numerous vitamins and minerals. 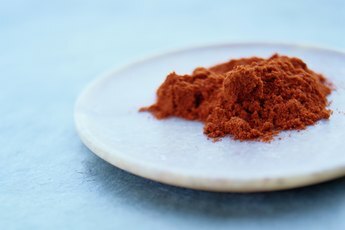 But if you generally avoid beans because of their long-standing reputation as “the magical fruit,” you’ll be happy to know that a bean-rich diet won’t necessarily transform you into the queen of flatulence. Cooked beans owe their rich, creamy texture to complex carbohydrates. 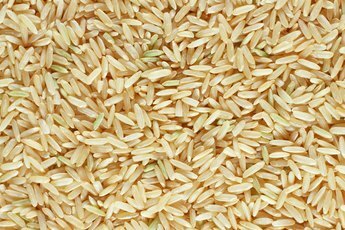 These starches, also known as polysaccharides, are long chains of simple sugars. While simple sugars – such as the fructose and glucose commonly found in fruit – are readily absorbed and converted into energy, complex carbohydrates must be broken down into simple sugars by digestive enzymes before they’re available for use. This is partly why beans are so satiating – they take longer to digest. Some of the carbohydrates in beans, however, come in the form of oligosaccharides. These starches can’t be broken down by enzymes, so they pass into your intestines where they’re fermented by bacteria. Gas is a byproduct of this process. Beans are also a high-fiber food. 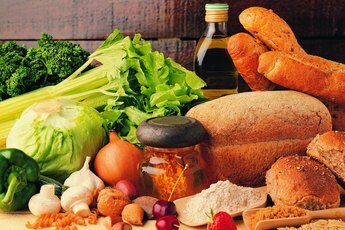 Whenever you add more fiber to your diet, your digestive system usually goes through a short-term period of adjustment that may include increased flatulence. Oligosaccharides are water-soluble, meaning you can eliminate most of them simply by preparing beans properly. Dried beans generally need to be soaked – usually for 6 to 8 hours or overnight – prior to cooking. 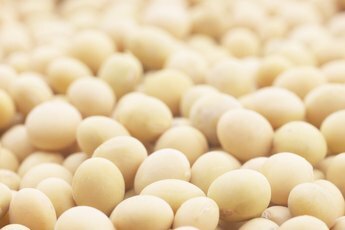 Most of the gas-producing starches in beans seep into the soaking water, where they can be discarded before the beans are rinsed thoroughly and cooked in broth, stock or fresh water. The more soaking water you use, the more oligosaccharides you’ll get rid of – according to the book “Bean By Bean,” you should use 9 cups of water for every cup of dried beans. Thoroughly cooked beans – which are creamy, tender and easy to mash, but not disintegrating – are also less flatulence inducing. 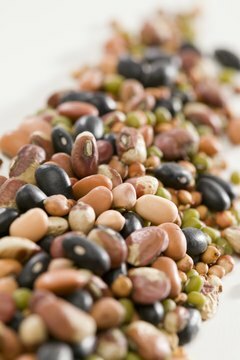 Eating beans on a regular basis – just as the USDA suggests – can, by and large, improve your body’s ability to digest them. According to a study conducted at the University of California at Berkeley, people who ate beans every day for three weeks reported less intestinal gas and discomfort by the end of the study. For optimum results, the book “Bean By Bean” recommends working a small serving of beans into your daily diet rather than eating larger portions once or twice a week. Although the human body generally adapts to a bean-rich diet, your body’s response to beans is ultimately an individual one. Even if you and your partner generally eat the same amount of beans, it’s entirely possible that one of you will experience greater side effects. The amount of oligosaccharides in legumes varies, so certain kinds of beans may make you gassier than others. Lentils, split peas, black-eyed peas, mung beans and adzuki beans are relatively low in oligosaccharides, while garbanzo, kidney and black beans contain average amounts. Soybeans, navy beans and lima beans are fairly high in oligosaccharides, and widely considered the most “disagreeable.” Avoid Boston baked beans and other sweetened beans if you’re prone to gas, as the added sugar in these dishes is another source of gas. The Bean Institute: Beans and Flatulence: Fact or Fiction? Is Eating Edamame Good for You?